Visit some of Japan’s renowned cherry blossom viewing locations in addition to the must-see spectacles of Japan. Experience the hustle and bustle of modern Tokyo, the rich culture and history of Kyoto and Hiroshima, the tradition and nature in Takayama, and the icon of Japan, Mt Fuji, in combination with Japan’s seasonal spectacular – cherry blossoms! Discover a land rich in history, food, culture, nature and tradition. Commence your exploration of Tokyo. First, visit Shinjuku. Make sure to visit Shinjuku Gyoen, one of the best places to see Cherry Blossoms in Tokyo! You may like to visit the Tokyo Metropolitan Government Office Building in Shinjuku. Enjoy the breathtaking panoramic view of Tokyo from the free observation deck. After the tour, discover the Ueno area including the Ameyoko Ueno Markets and then Ueno Park to view more than 1,000 cherry blossom trees. Many locals have “Hanami party” (cherry blossom viewing party) here. Take a day trip to Kamakura, a beautiful coast side city that was also the former capital of Japan from 1192-1333. Make sure to walk along the “Dankazura” which is the approach to the Tsurugaoka Hachimangu Shrine. The street is approximately 500 meters long and you can walk through a tunnel of cherry blossoms. Once the tour disbands, head back to your accommodation for dinner. Board a train to the peace city Hiroshima. 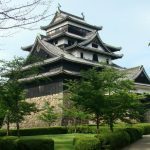 Visit Hiroshima Castle, originally built in 1589 and destroyed by the atomic bomb in 1945. In 1958, the present castle was reconstructed and opened as a museum for the public. Enjoy the much-loved Japanese pancake, “Okonomiyaki”, for dinner. Take an excursion to the sacred shrine island, Miyajima, where the giant floating tori gate on the sea is waiting to greet you. You will be fascinated by the sublime, vermillion Itsukushima Shrine, a world heritage site that floats with the rising tide. Stroll around the island and Mt Misen before returning to Hiroshima. Explore more of Hiroshima. Witness and learn of the tragic results of war and heartbreaking stories at the Hiroshima Peace Memorial Park and Museum and A-bomb Dome. Then move on to the ancient city Kyoto. Upon arrival in Kyoto, discover the local food culture at the Nishiki Food Market. Then explore the Kyoto Station area. The free observation deck provides you with a sweeping view of Kyoto city. After the tour, marvel at the wooden structure of the Kiyomizu-no-Butai (Kiyomizu Stage) at Kiyomizudera Temple. Then, visit Gion, one of the largest geisha districts in Kyoto. Be captivated by the thousands of vermillion torii gates at Fushimi Inari Shrine and the seasonal garden and coloured leaves at Tofukuji Temple. Continue your journey to Nara. 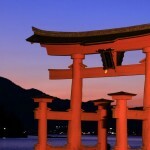 Visit Todaiji Temple, then walk through Nara Park, visit Kasuga Taisha Shrine. On the way back to Nara Station, Stroll around Naramachi, the former merchant district of Nara. Explore more of Kyoto. Visit Ginkakuji Temple then meander along the ‘Philosopher’s Walk’ where approximately 500 cherry blossom trees line the path along the canal. This is one of the most popular cherry blossom viewing spots in Kyoto. Savour the elegance of Kyoto while slowly making your way towards Nanzenji Temple and Heian Jingu Shrine. Head off to Takayama, a charming little samurai town in the heart of the Japanese Alps. Explore this lovely historic town at your own pace. Stroll around Kamisanmachi to view the traditional samurai houses. Explore Takayama Jinya (a former government outpost), the Festival Floats Museum and more. The famous red Nakabashi Bridge is a great place to view the cherry blossoms. Take a day trip to savour the idyllic scenery of Shirakawago. This World Heritage listed village contains many traditional thatched-roof farmhouses. An optional guided tour to Shirakawago and Gokayama is also available. Stroll through the riverside morning market in Takayama, and explore more of Takayama, including the cherry blossom lined Enakogawa River. Once you have completed your sightseeing of Takayama, head off to Tokyo. *Please note that cherry blossom viewing is not guaranteed due to Mother Nature. Cherry blossoms are a very sensitive flower, dependant on the weather. 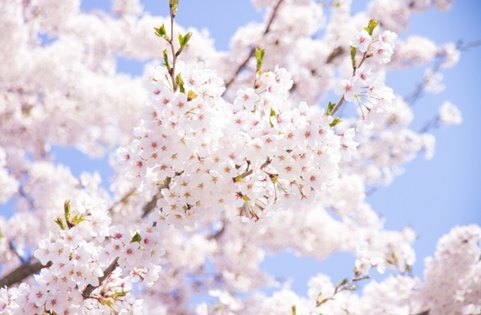 When it was a colder winter, cherry blossoms will bloom later, and when it was a warmer winter, cherry blossoms will bloom earlier than average. 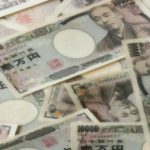 – Travel expenses (unless covered by the Japan Rail Pass).